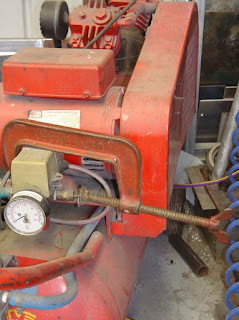 This picture shows a pressure relief valve on an air compressor with a G clamp placed over the top to prevent it from operating. Upon a closer look it appeared the relief valve was actually leaking. Not only has this by-passed the safety device, but it indicates a lack of maintenance and surveillance on the pressure equipment. 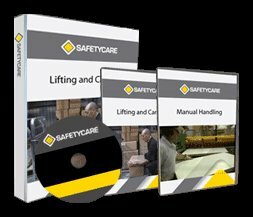 It is essential that safety devices are not tampered with or bypassed. These devices are designed to prevent pressure build up which could lead to the failure of the pressure vessel. This is potentially fatal.